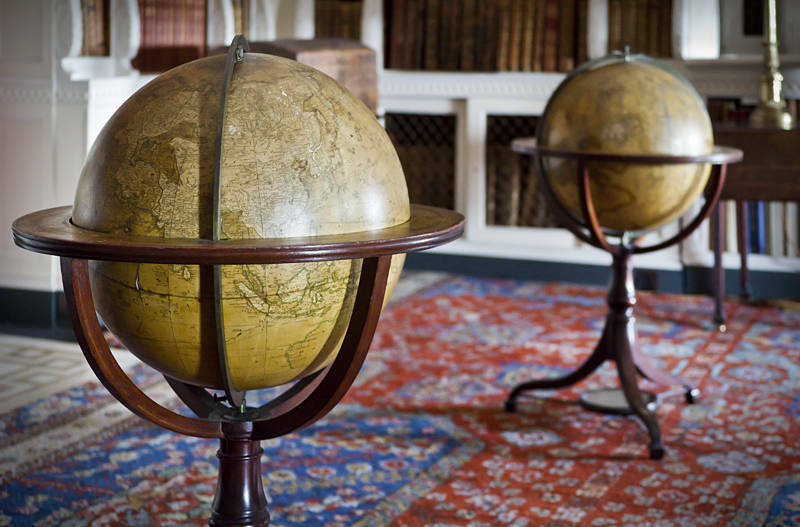 These terrestrial and celestial globes where on display in Belton House. If anyone knows if this style of globe have some special name please leave a comment. Although photography was allowed in Belton House the light was very dim and flash was not allowed. In situations such as this a high ISO value is needed. ISO is the sensitivity of the film or sensor. The trade off is an increase in noise. My old camera had an ISO range from 100-800 but if I wanted to submit something for Stock Photography I could only use the low noise shots taken at ISO 100. This was taken with a Canon 5D mark II at ISO 3200 and had a remarkable lack on noise. I don’t know good enough for stock but its still very impressive. And… Where are you going? Australia next. Watch this space.